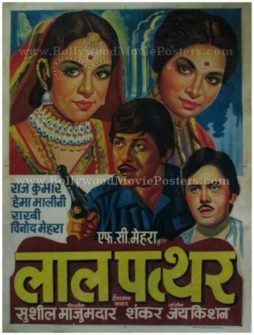 Beautiful photographic old Hindi film poster of the hit Bollywood movie Naukar Biwi Ka (1983) for sale. 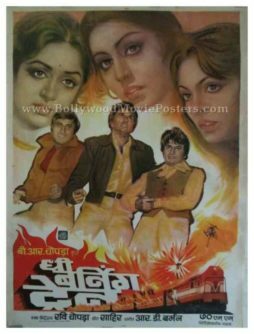 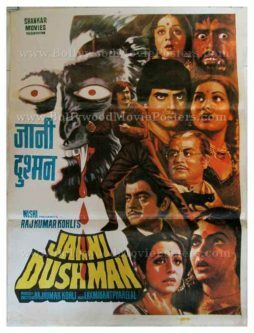 This is an actual surviving poster of the film Naukar Biwi Ka, which featured the best looking actor in his prime, Dharmendra, in the lead role. 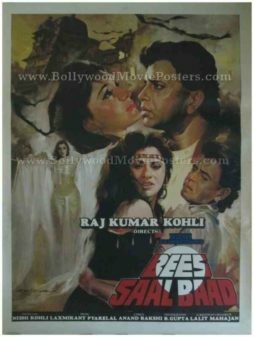 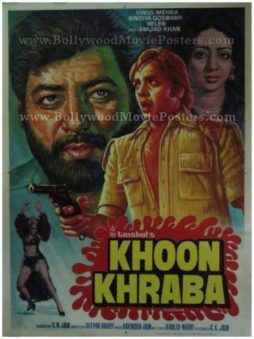 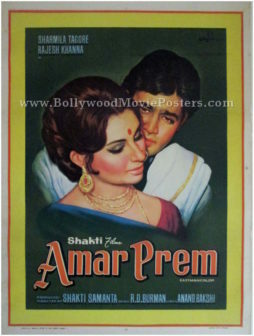 Printed and circulated somewhere during the release of the film, this beautiful photographic old Hindi film poster was originally designed for publicity of the film but never ended up being used. 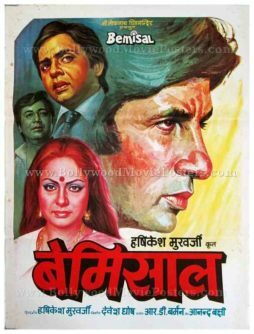 Naukar Biwi Ka (The Wife’s Servant) is a 1983 hit Hindi movie starring Dharmendra, Anita Raj, Reena Roy, Vinod Mehra, Raj Babbar and Om Prakash.